Faith Baptist Church was formed in 1999 when members from Western Park Baptist Church of Dallas and Northside Baptist Church of Duncanville agreed to blend the two congregations into one so that we could better be about the business of making disciples for our Lord Jesus Christ. The following is a combined timeline from inception to the merge. Faith B.C - October 27, 1999:: a joint buisiness meeting was held for the purpose of deciding on a name for the new church. The name chosen by the combined group was Faith Baptist Church. W.P/N.S - November 1, 1999:: Northside Baptist Church of Duncanville with the Western Park Baptist Church of Dallas officially became Faith Baptist Church of Duncanville. N.S - September 1, 1999 - Northside Baptist Church unanimously voted in favor of a merge with Western Park Baptist Church. N.S - June 1987-88 - The Family Life Center was completed. W.P - March 1983:: Reverend Gary McCaleb was called to Pastor the church in March of 1983, he shepherded the church through the blending with Northside, and remained Pastor until his retirement in April of 2011. N.S - March 1974 - The property that contains the office building was purchased. N.S - June 1968 - Additional property was purchased to construct a Family Life Center. N.S - 1965 - The current auditorium was constructed for Northside Baptist Church. W.P - June 1963:: The church once again moved its meeting place to West Illinois Avenue at Western Park Drive at which time the body was reorganized as the Western Park Baptist Church. N.S - 1961 - A two story education building was constructed. N.S - 1953 - The first auditorium was constructed in and now serves as the fellowship hall. N.S - October 12, 1949 - Northside Baptist took steps to officially become a part of the Dallas Baptist Association and later the cooperative work of the Southern Baptist Convention. N.S - March 13, 1949 - Northside celebrated its first baptisms with the baptizing of Melita Cooke and Jewel Moore. Both baptized in the Old Blue Hole of Ten Mile Creek. 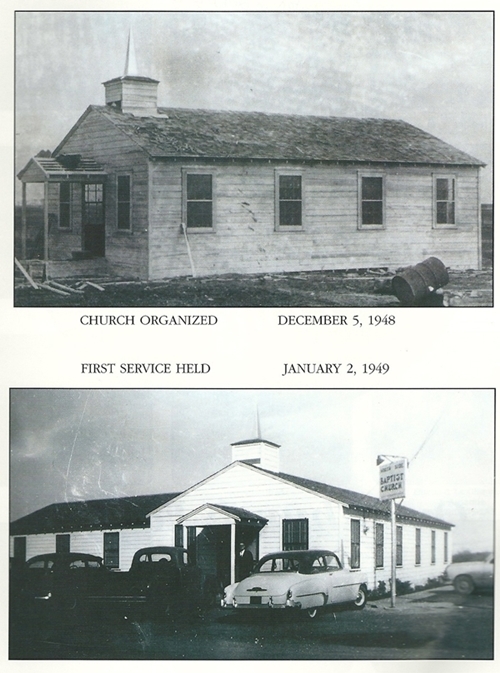 N.S - December 5, 1948 - Twenty-nine people had their prayers answered with the birth of Northside Baptist Church. The Reverend George Ray led in the organization of Northside. The first church building (shown below) was a 30x40 white frame building and was built on the land where the church (as Faith BC) still resides today. The first meeting of the group, later to be called Northside Baptist Church, was in the home of Mr. and Mrs. Hearst Paxton at 417 Hustead. After three meetings a larger place was needed, so on the invitation of Mr. and Mrs. Roy Humble the group met in their home on Ledbetter Drive. 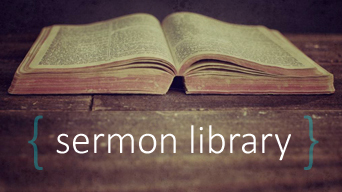 W.P - March 28, 1937:: Western Park Baptist Church was organized as the Edgemont Baptist Church with fifteen charter members. Reverend H.L. Marler was called as the first pastor. The church met in a building located on the corner of Iowa and Denley Drive. But in 1938 began meeting in a building at Edgemont and Denley Drive. 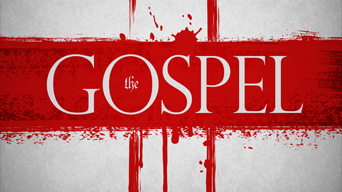 to create disciples through Bible preaching and education.